Click the appropriate thumbnail below for more information on each of our FiberStar Laser Marking Products. 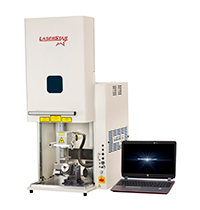 The LaserStar Fiber Laser Marking System is compact, quiet, and easy to use. The laser marking system produces clean and legible engraving that requires little or no polishing at the end of the process. In addition to being very satisfied with the performance of the laser marking system, we have been pleasantly surprised by the high level of customer service we’ve found at LaserStar Technologies. We were so happy with the first laser marking system we purchased three years ago; we purchased a second laser marking system just one year later!